What is Wart Removal by Excision? During wart removal by excision, a wart on the genital area or the skin is removed by moving a loop-shaped blade underneath the wart. Wart removal by excision is utilized in order to remove warts caused by low risk human papilloma virus. 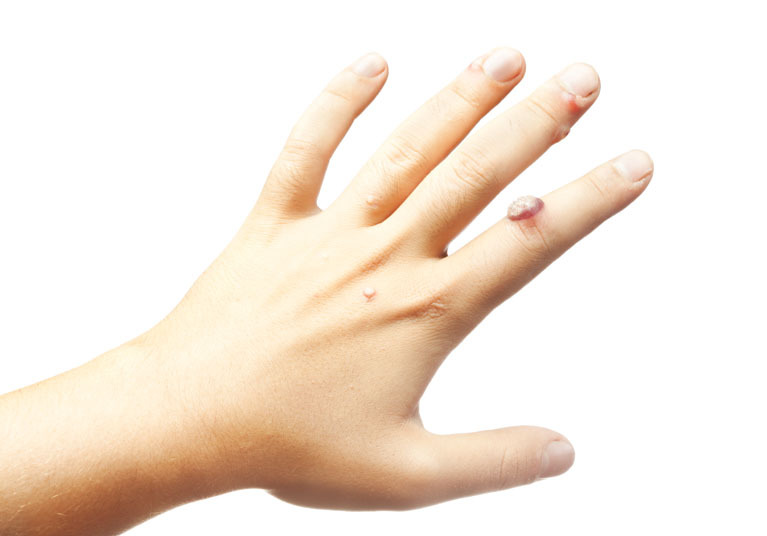 Non-surgical alternatives to wart removal by excision include liquid nitrogen, cantharidin and wart treatment chemicals, such as salicylic acid. Wart removal by laser therapy and wart removal by anti-viral agents are surgical alternatives. Wart removal by excision is performed with a local anesthetic. Sometimes, general anesthesia is used, which means that the patient is asleep and completely unaware during the procedure. Possible risks following wart removal by excision include infection, bleeding, scarring, a negative reaction to the anesthesia and incomplete removal or recurrence of the wart. The prognosis for a positive end result following wart removal by excision is good. The total recovery time after wart removal by excision is one to two weeks.